Civil law involves conflicts that are not prosecuted or punished by the governement. Specializing in state and federal environmental laws. Thomas M. Herman, better known as Tom, is licensed to practice law in all California courts as well as the federal Ninth Circuit Court of Appeal and the United States Supreme Court. Thomas currently has a Fortuna law office to serve you. 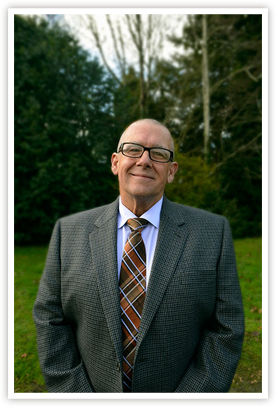 Tom's primary areas of practice are on the civil side of the law, emphasizing real property, timber and forestry, land use and development, environmental law, business transactions and organizations, contracts, estate planning and probate, agricultural law and other general civil matters. Tom has experience litigating a variety of complex civil matters including easement and boundary disputes, inverse and direct condemnation, construction defects, contracts, adverse possession, and partitions. He represents many clients regarding their estate planning, preparing estate documents such as wills, trusts, powers of attorney and related documents. Mr. Herman also represents estates through the judicial probate process. If your matter involves a civil claim, Tom can help you. He takes on a very limited number of criminal matters, primarily those associated with forestry and logging. Please visit when you are in Fortuna. Tom is ready to be your lawyer of choice and represent you.